Your first instinct I’m sure if to think that a clay is a clay is a clay. WRONG. 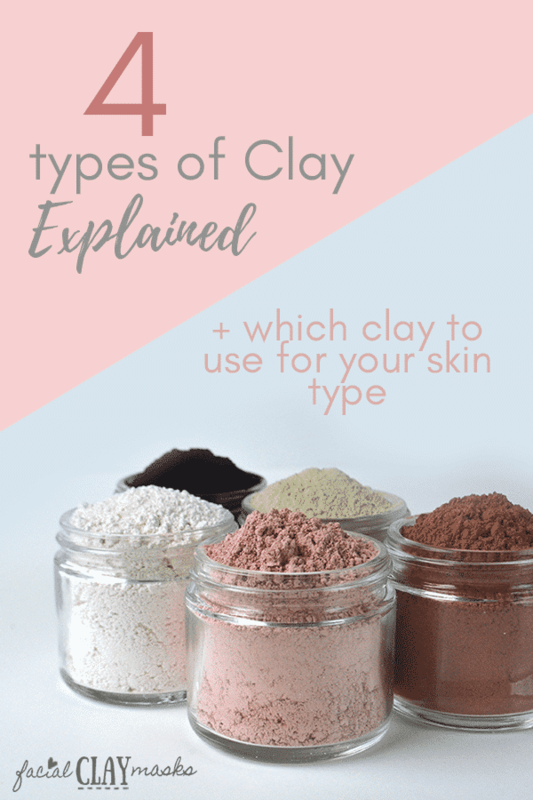 There is an assortment of cosmetic grade clay available, and each clay has different properties which can determine which clay type to use for your skin. Clay is found in nearly every region of the world, from the pink clay of australia, to right in our backyard of Wyoming with Bentonite Clay or in the french alps of France. One thing that goes without saying through the whole list is, clays are amazing at detoxifing. How clay masks work, is its ability to detoxify and pull out impurities from your skin. So in each of the clay’s below, I will stick to what differentiates the clay, as they all posses an insane cleansing property. 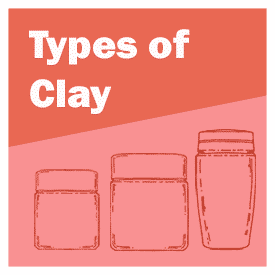 The first 4 types of clay we will cover, are the most popular on the market, and the 4 types of clay that are in our clay assortment pack. 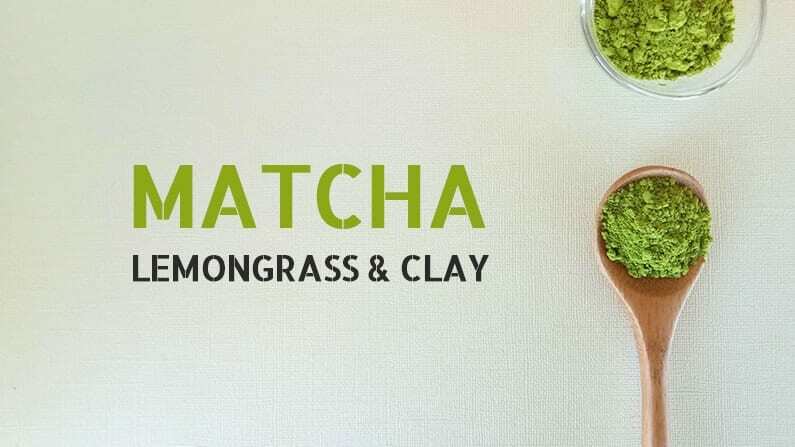 The most well known clay on the market, and the most “potent”. Bentonite Clay provides an super strong detox on your skin. All clay’s have an absortion or adsorption effect, so they all detox to some degree. Bentonite is like the Queen of detox. The majority of Bentonite is located in the Wyoming, the area is responsible for more than 5 million tons of bentonite each year. Bentonite is not just a facial clay, it’s used in a plethora of uses from oil drilling, pottery, purification in water systems and a bunch of other uses. It’s important though, that you do purchase cosmetic grade clay. But it also has a plethora of benefits. I could write an essay telling you about all the uses and benefits of this amazing clay but instead read the benefits of Bentonite here. I have suffered from acne scars for YEARS. And Bentonite saved the day from clearing up my existing acne and helping reduce my acne scars. I will always have a special place in my heart for Bentonite. But then…. I discovered a whole other world of clay’s, and that’s when I went off the clay deep end. I’ll go over the clay’s I have since discovered. Bentonite Clay is very alkaline, with a PH balance of 8.9 to 9. When mixed with water, this can cause a clumpy mixture that just doesn’t apply to your face right. The first time I tried a Bentonite Mask, I was mortified. I looked like a gooey, lumpy, and not cosistent mask that felt like it was going to fall of my face. What’s the answer? Mix it with apple cider vinegar. Apple cider vinegar is not only amazing for your skin but it’s also super acidic. When mixed with the high alkaline of Bentonite Clay, it creates a smooth, perfect mixture mask. So Bentonite is the most well known Clay type and will always hold a special place in my heart due to the joy of an acne free life I now get to enjoy. Most people only know about this clay. Mostly due to the popular Aztec Secret explosion on beauty and YouTube bloggers everywhere. Now that my face is clear, there are other skin benefits I need, like pore tightening, balancing my skin complexion, exfoliation. It’s really a never ending pursuit. But I ENJOY it so much, and it makes me feel so GOOD. Have you ever been for a facial where half way through the facial they apply a super silky mask to your face that feels just wonderful? Enter, French Green Clay. I love the way this clay feels on my face when being applied but even more, I love the way it makes my face feel SO smooth afterwards. It’s also the most “photogenic” clay (in my opinion), so when you see stock photos of spa clay, it’s normally a French Green Clay. It’s an Ilite clay type, and has a tightening effect. Not only when it’s on your skin, but also for about an hour afterwards you will feel a tightening sensitive. I love that! Tighten up that skin baby! Becuase of the tightening effects of French Green Clay, it also is amazing for reducing the appearance of pores. The first thing you will notice after mixing up your Rhassoul Clay Facial Mask is the “moussey” qualities of the clay. The clay face mask is light, moussey, and so lovely to apply smoothly to your face. Not only does it apply smoothly but it will make your skin feel so smooth afterwards. Because of the high negative charge of Rhassoul, it can be especially effective with drawing blackheads out of your skin. A lot of the clay mask powders are not just effective for detox and cleansing but they are also rich in minerals. So when the clay is hydrated, applied to your face, during that phase it absorbs (or adsorbs) the impurities on your face and in your pores. While the clay is wiped off your face the minerals from the clay are left behind to mineralize your skin. Rhassoul clay is rich in silica, potassium, magnesium and calcium. One of the largest sources of Rhassoul Clay is in Atlas Mountains of Moroco. It’s fabulous at reducing sebum secretion, aka oily skin. Which I myself suffer with. I used to suffer from oily skin so bad that nearing the end of the day, when I rubbed my eyes, the oil from my skin would get into my eyes and irritate them. To put Rhassoul clay in a couple words, great for oily skin, contains minerals, moussey and silky smooth, great for blackheads, pore tightening. And on top of all that, it’s also great for your hair. This mask will make you feel like a ghost on halloween. It’s rare to find a mask on the marketplace that is pure white. I’m used to seeing masks that are grey, pink, green or red, but rarely white. Different color variations can be due to variance of minerals in the clay, the brighter white the kaolin, the higher quality it is considered to be. Kaolin clay is a pure white, fluffy clay. The texture unlike any of the other clay’s mentioned so far. We hand pack our facial clay sample pack and after ordering our bags were surprised to see that the same 50 grams that easily filled half of one of our bags, was brimming to the top with this Kaolin Clay. Kaolin clay, unlike other clays, provides a gentle exfoliant for your skin. This is because not all of the clay absorbs into water, leaving crystals behind that will exfoliate. I use Kaolin every morning as a pre-cleanser. Like Rhassoul Clay, Kaolin clay is also an excellent oil absorbent, and will help balance your natural oil production over time. After a clay mask, you may experience some redness of your skin for approximately 30 minutes after application. You will notice the redness is correlated with the drying time of the mask. If you remove the mask from your face prior to it completely drying, you will experience minimal redness. It’s important to read through how to use a dry clay mask before beginning. This is not true of Kaolin Clay where you should experience very little to none redness after application. Test drive this renewing manuka honey and kaolin face mask recipe. 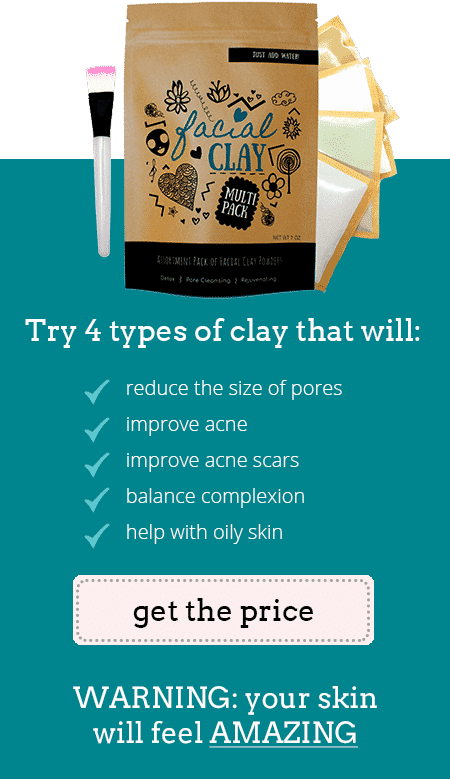 Above are the 4 clay types that are featured in the facial clay mask assortment pack. 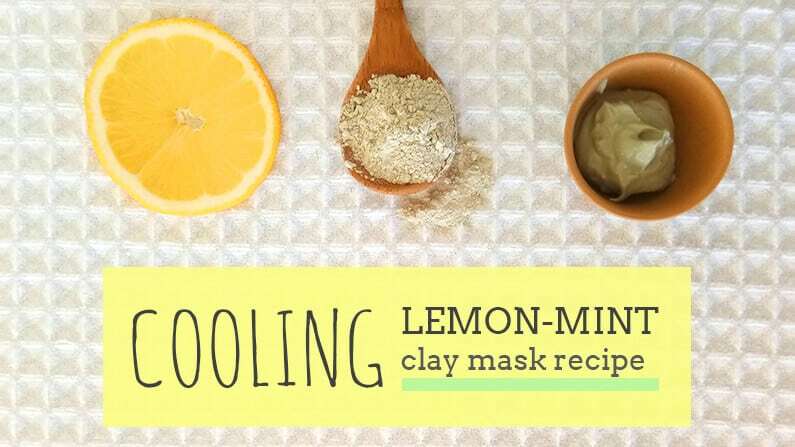 There are even more, probably lesser known variations of clay that are wonderful for a facial mask. I hope to be updating that soon here on the blog! If you have any questions, or just to share your experience with one of these clays, we would love to hear from you in our comments below! 10 types of Clay, what each is good for, and why you need Clay in your life.